Two books from June 25, 2014. Plus Your Nerd Confessions (about your favorite comics set in space) and a brief moment of Regression Therapy. On The Couch: artist Nick Pitarra. After last week’s navel gazing, we’re turning our eyes upward and outward to ponder the vastness of space and the opportunities that present themselves beyond the limits of this rock we all call home. Do the trials and tribulations of Earth translate to space or is space crime more exciting because it’s in space? And what makes someone decide to go to space in the first place? Earth may be full of issues, but at least they’re usually pretty manageable. Space is so vast and unpredictable, as we’ll see. Plus, in space, no one can hear you scream. "You will find that many of the truths we cling to depend greatly on our own point of view." 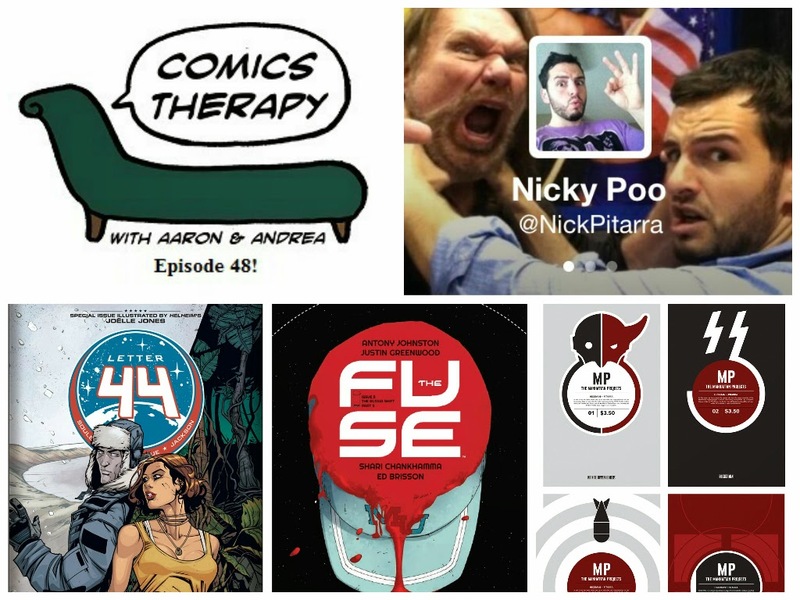 Nick is the artist and co-creator of the Eisner-nominated series The Manhattan Projects, published by Image Comics. He previously collaborated with his co-creator Jonathan Hickman on The Red Wing, also published by Image. It's a long interview, and we kept the pre- and post-conversation in the show. Otherwise you would have missed a sweet discussion about kale. And also comics. And Skype. And drawing. Yeaahhh. It's a loooong interview. You're welcome. As you can see, Nick totally failed to follow #2. Unsurprisingly.